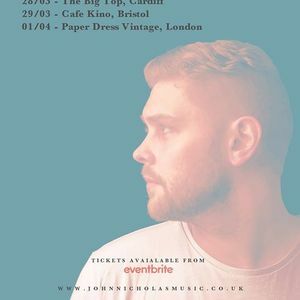 John Nicholas (w/ full band) live at Cafe Kino, Bristol on the 29th March 2019. Edgy, Soulful and Heartfelt; this is the music of John Nicholas. 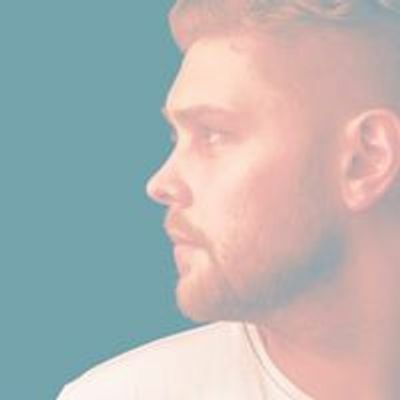 With inspiration taken from the likes of Foy Vance and John Mayer, John’s story songs are catchy and relatable and envelope the listener through the textures he creates with his loop pedal. 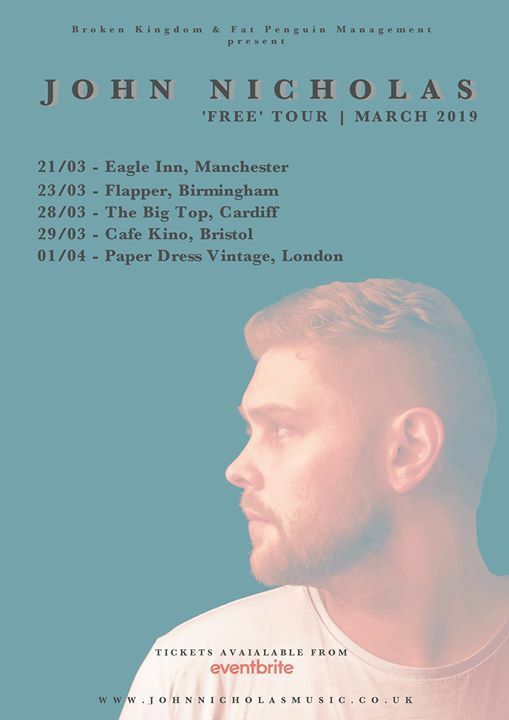 John had a stellar 2018 winning Firestone’s “Road To The Mainstage” Final and performing across the UK on two headline tours. In addition to this John had airplays and support from BBC Radio Wales and BBC Radio 2 cementing him as an exciting up and coming artist.